Corey Crawford paid no mind to the criticism he endured at certain points of this year’s Stanley Cup playoffs. 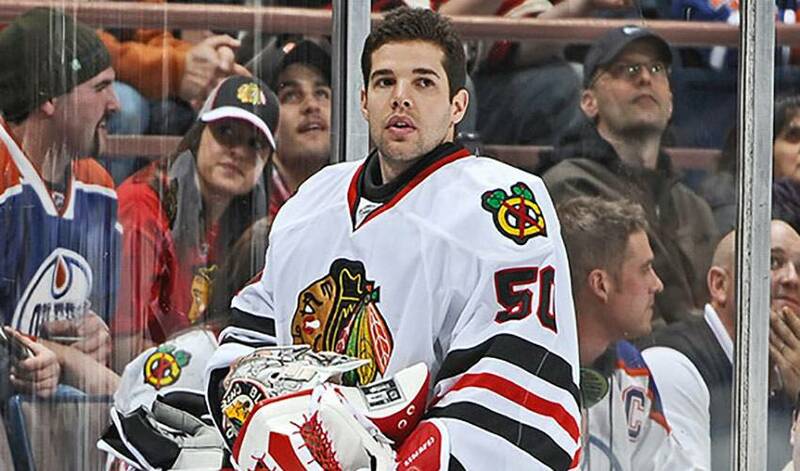 Turns out, it was the perfect plan for Chicago’s resilient man between the pipes. It seems for almost as long as he’s played at the NHL level, Crawford, the pride of Chateauguay, Quebec, has had to spend almost as much time battling questions about his legitimacy as a big-league backstopper, as he has thwarting the game’s top scorers. Winning a Stanley Cup, however, proved to be the best tonic for silencing his critics. Not that he was paying much attention to what was said about him, though. And what he does on the ice is pretty impressive. Crawford crafted a record of 19-5-5 with a 1.94 GAA and .926 save percentage in the 2012-13 regular season, teaming with Ray Emery to capture the William M. Jennings Trophy as the goalie tandem with the fewest goals allowed. He’s also stamped himself as a serious candidate to represent Team Canada at the 2014 Winter Olympics in Sochi. It’s obvious what the Blackhawks organization think of their netminder. Crawford recently signed a six-year contract extension with the Original Six club, inking the deal on the day he brought the Cup to his hometown. Crawford, Chicago’s second-round pick in 2003, knows he can count on his teammates to get the job done offensively. Crawford is hoping the ‘Hawks can flex their muscles in 2013-14 as they attempt to become the first team to win back to back Cups since Detroit achieved the feat in 1997-98. There’s no doubting his readiness for the challenge. He’s also well aware of the support he’ll have whenever his number is called. It’s hard to criticize that type of approach.